THE animatronic band of animals that once rocked the Showbiz Pizza Place restaurants have been reprogrammed by fan Chris Thrash to play Pop, Lock and Drop It. Pizza and robots. Live the dream, kids. * The movie focuses on one fan in particular, a small-town roller-rink DJ from Alabama by the name of Chris Thrash. 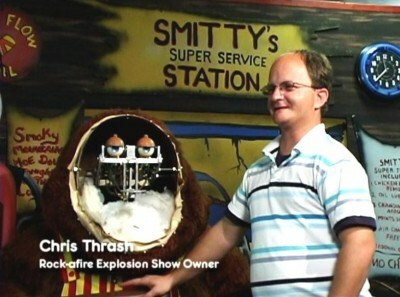 Thrash has actually installed a fully working version of the Rock-afire Explosion in his home, and eventually brought the group new exposure in the 2000′s when he began programming the robots to sing along to current popular music and released videos of it on Youtube. 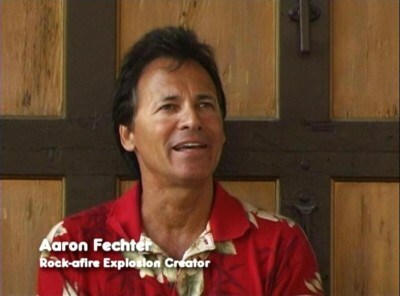 Fechter’s story of how he came to create the Rock-afire Explosion is told in the movie, and it’s an interesting and even inspiring one – a struggling inventor trying to door-to-door sell a pool-cleaning device he had created, he just happened to knock on the door of a businessman looking for someone to build him a mechanically operated shooting gallery. * We’ve seen the RF band appear in music videos and feature films, and today the band takes up residency as part of Cee Lo Green’s live Vegas show at Planet Hollywood opening the show with a rousing Rock-afire rendition of “F*** You”. See them play Nine Inch Nails, and The Black Eyed Peas. * “The Rock-afire Explosion” is the story of a small-town disc-jockey, a struggling inventor, and an animatronic rock band, that quickly becomes an eccentric portrait of childhood memories, broken dreams, and the resilience of the human spirit. In October 2013, Aaron Fechter’s downtown Orlando warehouse fell victim to an exploding gas tank. 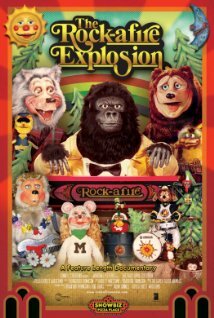 The Rock-afire Explosion went ka-boom. As ShowBiz expanded, so did Fechter’s company, Creative Engineering Inc… At its peak, CEI had 300 employees building 70 shows a year. Fortune said each cost $90,000. When ShowBiz opened its 100th store — in Texas — Fechter donned a Billy Bob suit and arrived by helicopter to mingle with fans. “It was like being a rock star,” he says. But like every good rock-‘n’-roll story, it couldn’t last. And in 1983, Fechter got a call from ShowBiz. Stop production, the company said, we’re not opening any more restaurants. The company had grown too quickly, expenses had soared, and ShowBiz couldn’t afford Fatz and friends. 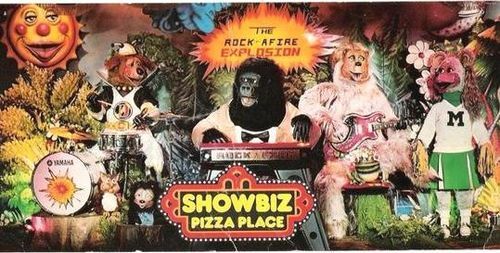 ShowBiz merged with rival Chuck E. Cheese, which was also struggling, ultimately asking for the rights to the Rock-afire Explosion. Fechter refused.